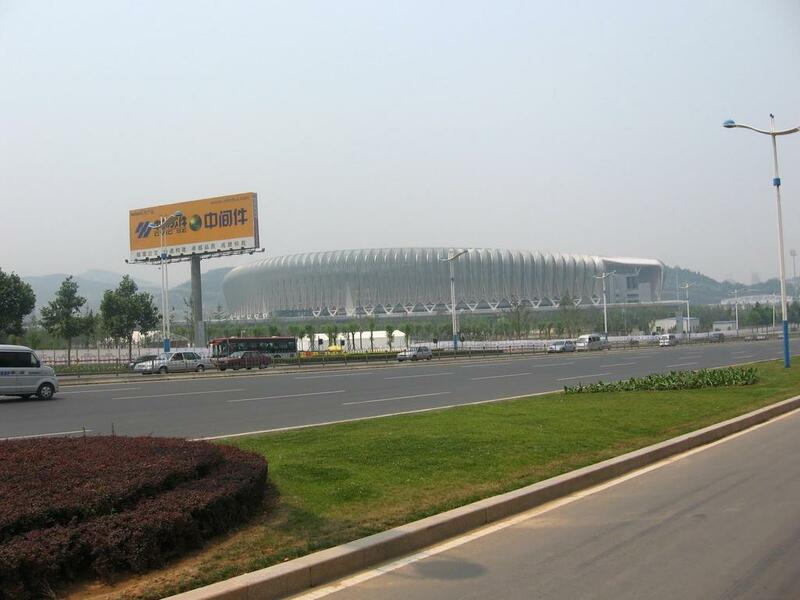 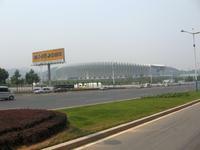 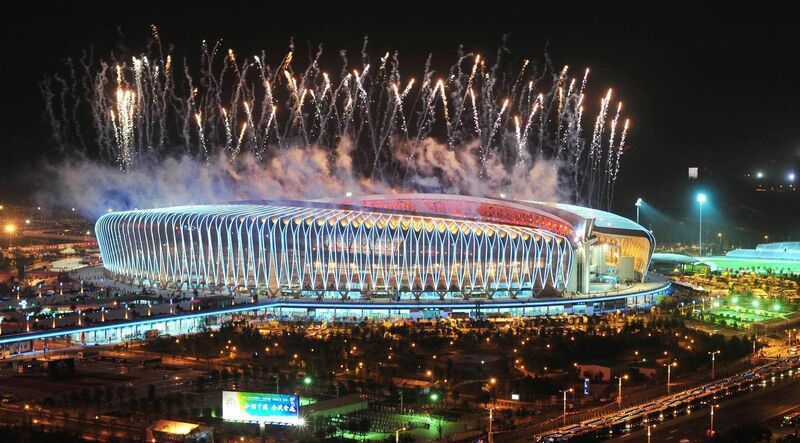 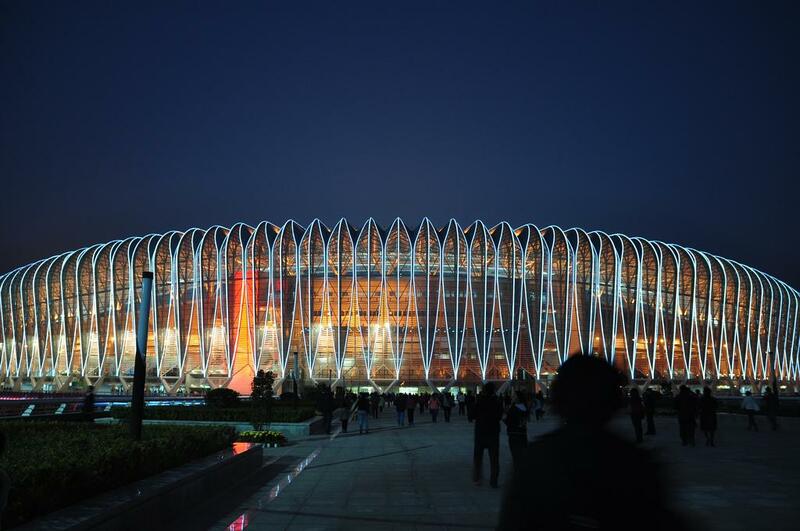 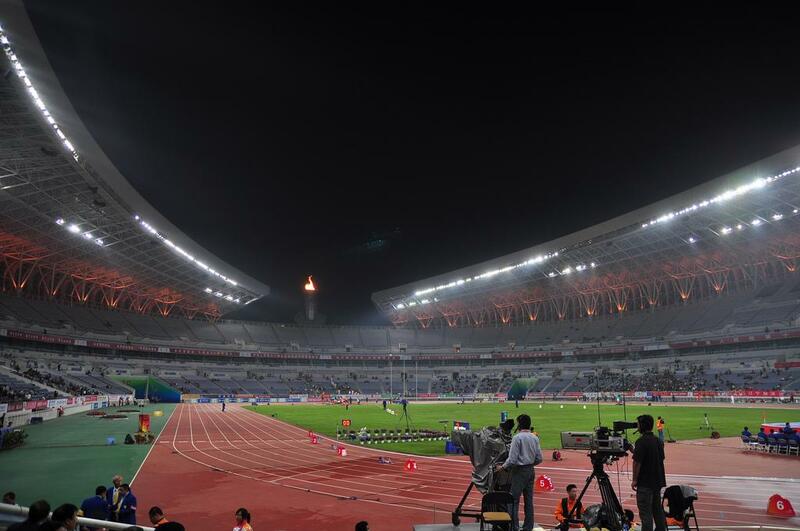 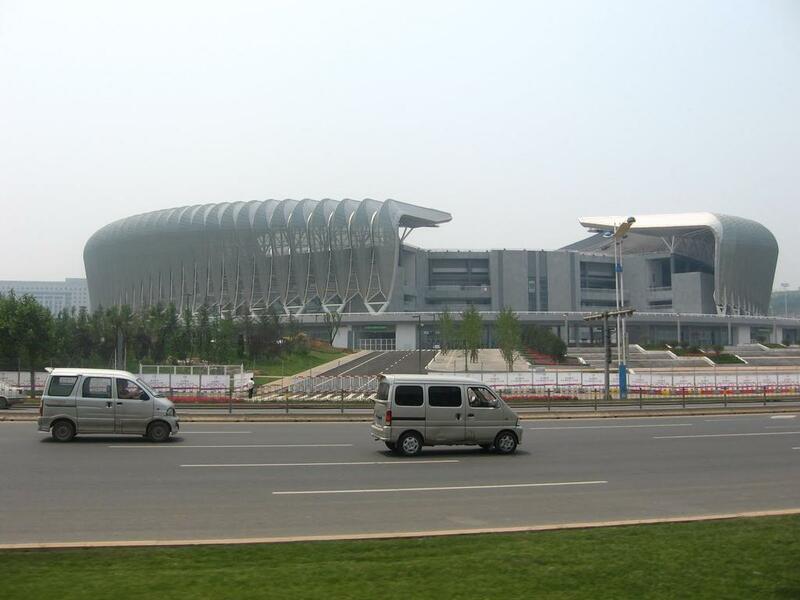 Created between old and new parts of Jinan, the new sports complex covers over 80 hectares. 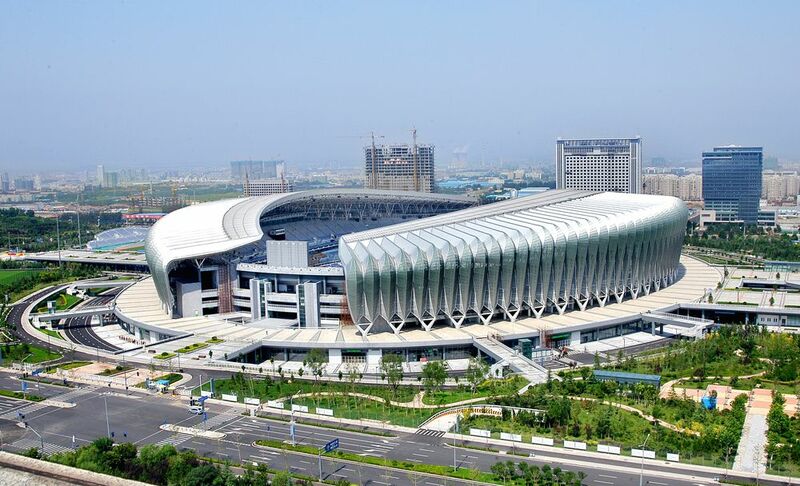 It holds the main stadium with 60,000 seats on one side and three stylistically similar smaller arenas on the other (their total capacity is some 17,000). 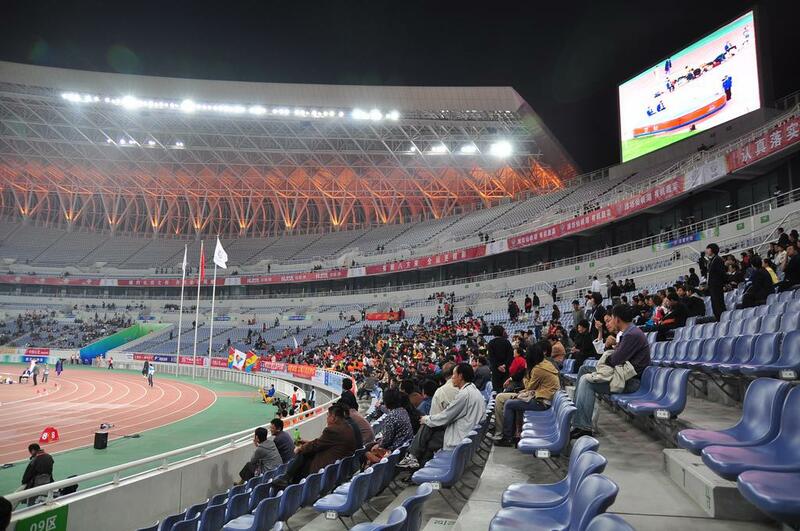 The stadium’s stands are divided to two tiers and mostly covered. 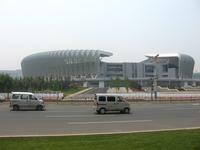 Roof is spread along the sides, with open ends, consisting of small petal-shaped segments. 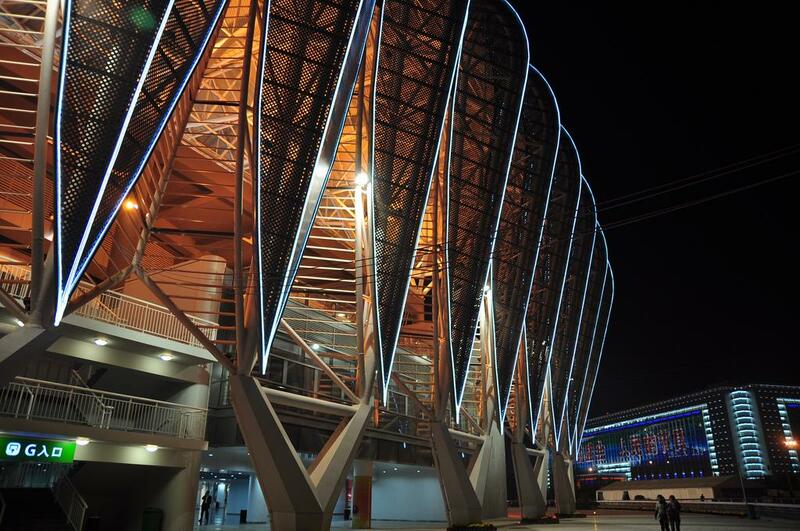 At night their edges are illuminated, giving a simple and elegant, but at the same time impressive effect.